Join Oriflame Today ! : Oriflame Review – Is Oriflame a Scam Or a Genuine Business? Oriflame Review – Is Oriflame a Scam Or a Genuine Business? Oriflame is one of the fastest growing beauty companies in the direct sales industry. Does this mean that they offer a Genuine Business opportunity, or is this another home business scam or pyramid scheme? I will be answering this question in my Oriflame Review! In this Oriflame Review, I will be examining their company, products, and more importantly, the Business Opportunity that they offer as an Oriflame Consultant. Does Oriflame offer you the tools and the potential for success? Oriflame Founded in Sweden in 1967 by brothers Jonas and Robert af Jochnick, and friend Bengt Hellsten, Oriflame is a company that has experienced tremendous success and growth. 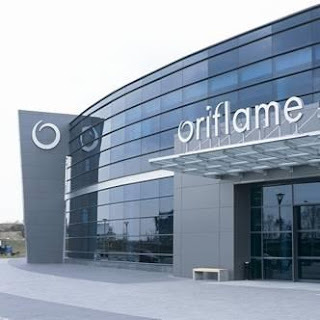 Represented by nearly 3.6 million Consultants and 8000 employees, Oriflame operates in more than 62 countries, and reports 1.5 Billion Euros in annual sales. Oriflame products are offered exclusively through their large network of Oriflame Consultants, which leads us into my review of the Oriflame Business Opportunity. You can join Oriflame by getting in touch with a Consultant directly, or by contacting your local Oriflame office. During this process, you will complete and submit your Consultant application to receive your membership and starter kit. Your starter kit will contain materials about Oriflame and their products, as well as guides, catalogues, and product samples to begin sharing with your friends and family members. As a brand new Oriflame Consultant, you will be paired up with a more experienced Oriflame Manager who will serve as your mentor and coach. This person will be your support line as you are being introduced to Oriflame, and will coach you through the beginning stages of your new Oriflame business. Typically in businesses, an upfront investment for a starter kit or business pack is required, along with your enrollment into a monthly Autoship program. This Autoship program is designed to automatically ship products to your home every month, and will bill your credit card accordingly. but this is not the case with Oriflame as its free to join and and its up to you if you want the kit too. In my opinion, Oriflame is a Genuine company, and should not be considered as a scam. They are on a mission to become the number one direct selling beauty company in the world. Considering their staggering rate of growth, and their tremendous line of high-quality products, this vision could very well become a reality. It is important to note that this is a business where you will be trained and encouraged to prospect among your network of friends, family members, neighbors, and anyone else who you feel would benefit from Oriflame’s products? This will be the basis on your new Oriflame business building training. With that being said, I believe that Oriflame offers high-quality products along with a solid business opportunity for those who have a passion for their products and wish to share them with friends and family members. If you have found this Oriflame Review to be helpful, or have anything to add, please provide your feedback below!